Choosing a Watlow temperature sensor, industrial heater, process controller or silicon controlled rectifier (SCR) power controller is a great decision. Purchasing these thermal processing system components through Conrad Kacsik will add value and improve your process. We are much more than a longstanding Watlow distributor. We are experts in designing, integrating and installing thermal processing solutions. For a one-stop shop experience that delivers the best hardware, software and outcomes, no one can compare to Conrad Kacsik. We develop and install complete solutions. Your product order from us is backed by as much support as you need. For example, when we sell Watlow’s latest temperature and process controller, the F4T with INTUITION, our engineering team can install and fully integrate it with SpecView HMI software, which we also sell, install and program. This means your Watlow products can achieve their maximum usefulness by tapping capabilities like advanced data logging and graphic trend charts. Here are a few examples of how the Conrad Kacsik approach delivers more than outstanding Watlow heater controllers and other products. We deliver improved processes and better outcomes for our customers. A defense contractor turned to us when they needed to replace the old superheated oil heaters on their hydroclaves with new Watlow mineral insulated band heaters. Precision was critical because the contractor was testing components utilized by the U.S. Navy. Conrad Kacsik installed the heaters and tied them to a fully integrated system that included sensors, control panels and power controllers utilizing SpecView HMI software. What started as a straightforward band heater installation, evolved into a sophisticated solution that delivered a cleaner, more efficient, more accurate and easier-to-use system for the client. Another solution was developed for a manufacturer of advanced aerospace components and assemblies. The customer needed incredibly reliable heaters. The intensive use of their process was causing the existing heaters to burn out quickly. Conrad Kacsik engineered a solution by designing a more robust system built around Watlow heaters. The design delivered a long lifecycle that reduced downtime, lowered overall cost and improved performance. 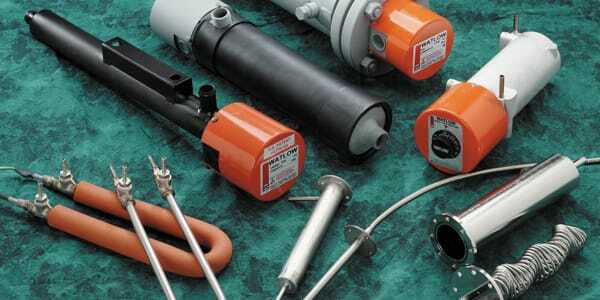 Find the ideal Watlow heating element for your application. When a commercial airline needed a more reliable heat treating system at its maintenance hub, they turned to Conrad Kacsik. Using Watlow’s F4T temperature controller, we built a new system and fully integrated it with SpecView. It replaced a system comprised of older ovens with antiquated OEM controls. The new system allowed the client to use their existing ovens while benefiting from a modern control system. The Watlow equipment working on SpecView software delivers reliable data that’s available online for all levels of the organization. For the aerospace industry, this level of recordkeeping and repeatability is critical. Correctly regulating voltage to an industrial heater is an important element of precision heat treating. Watlow’s POWER SERIES SCR power controllers are microprocessor-based and deliver unmatched flexibility. This level of control is vital when utilizing massive amounts of power within a thermal process. Properly sized, designed and installed, these controllers also prolong the life of the heater. Watlow makes superior products. To get the most out of your Watlow temperature sensor, industrial heater, process controller or SCR power controller, trust the engineers at Conrad Kacsik to design, install and implement the right system. 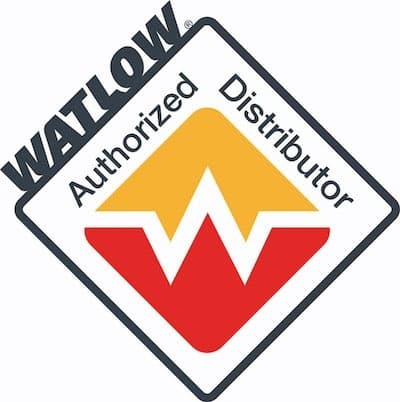 As Watlow distributors, we sell more than just products, we sell solutions.